Using a BPA-free water bottle? Going out of your way to avoid soaps, shampoos, cosmetics and other products with phthlates and to eat locally-grown, organic produce? All this may still not be enough to reduce your exposure to these endrocrine-disrupting chemicals, according to a recent study. Scientists from the University of Washington School of Public Health have found that we can still be exposed to these substances via our diet, organic or not, and even if we use non-plastic containers to store food. 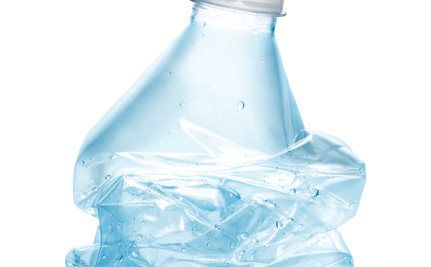 BPA or bisphenol A and phthalates are synthetic chemicals that have been found to adversely affect the endocrine systems. In particular, prenatal exposure to phthalates has been linked to abnormalities in the male reproductive system. In girls, fetal exposure to BPA has been connected to hyperactivity, anxiety and depression. Researchers under Sheela Sathyanarayana studied ten families. Five were given specific instructions on reducing phthalate and BPA exposure. The other five received a specially catered diet for five days, with all the food consisting of local, fresh, organic ingredients that was not prepared, cooked or stored in plastic containers. The researchers predicted that the latter group would, after testing, have lower urinary concentrations of phthalates and BPA. Instead, the researchers discovered the opposite, that the five families (and the children in partucular) who’d eaten the special diet had 100-fold higher phthalate concentrations than the levels found in the general population (based on data from the Centers for Disease Control and Prevention). Further testing of the locally sourced and organic ingredients used in preparing the meals for the five families revealed the possible culprits. High rates of phthalates were detected in the food and especially in butter, milk, cheese and spices such as ground cinnamon and cayenne pepper. Based on all this, the researchers estimated that an average child of three to six years old has been exposed to 183 milligrams per kilogram of their body weight per day, far in excess of the 20 mg/kg/day limit recommended by the U.S. Environmental Protection Agency. Sathyanarayana’s and her colleagues’s study is another reminder to keep food safety at the top of the agenda, and be wary of salads that could be killing you, genetically engineered foods and foods imported from other countries where regulations are even more lacking. Can Calorie Counts on Food Labels Be Trusted? That's disappointing, to say the least.